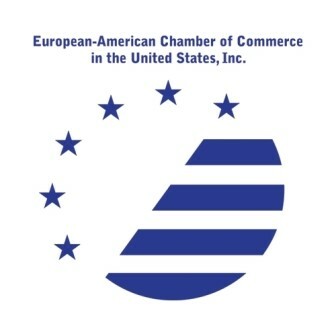 US Austrian Chamber of Commerce | The Chamber provides a platform for the exchange of information and ideas through networking events, seminars and support services. 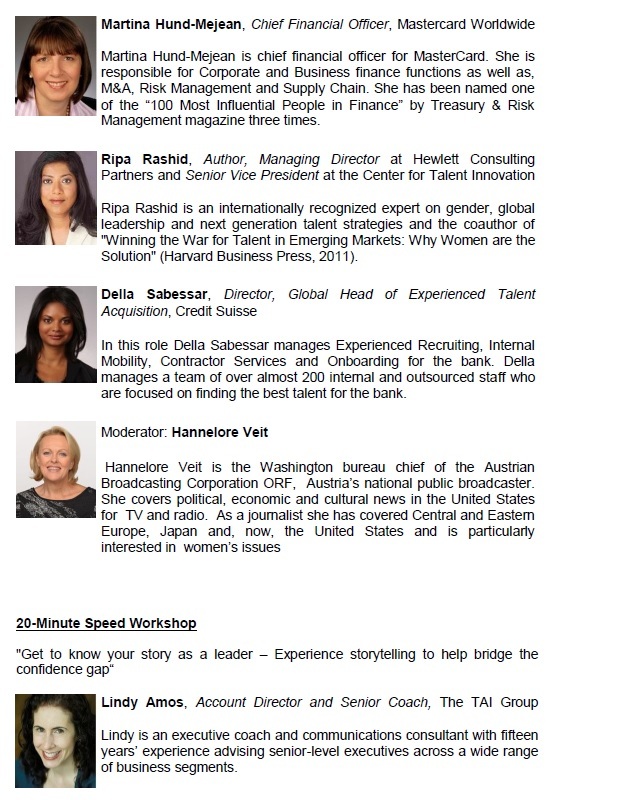 who will speak on “The Future of Transatlantic Business”. 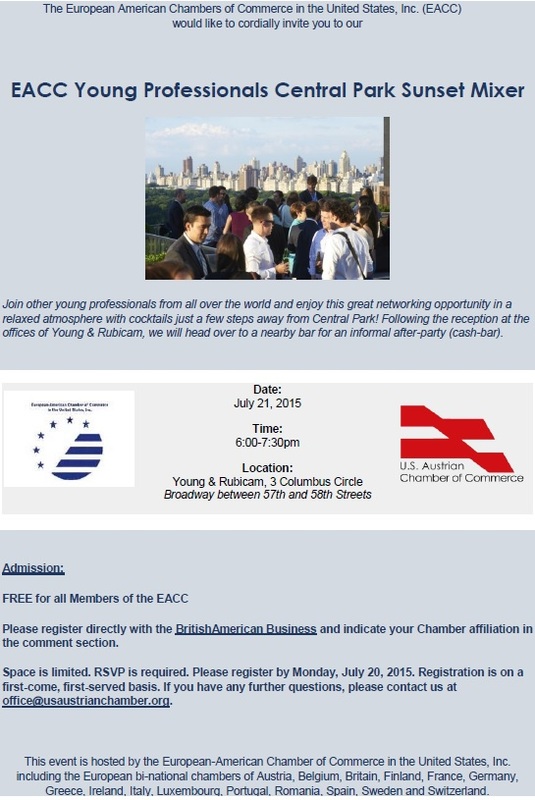 Questions regarding this event may be directly directed towards the British American Chamber(nrembert@babinc.org). For updates and registration please check http://babinc.org/events/910. 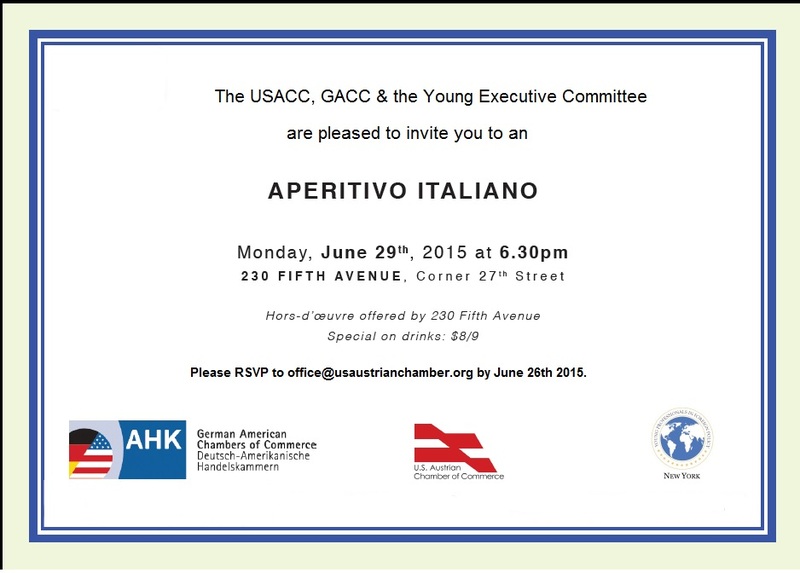 Thursday, May 21, 2015 6:00 – 8:30 p.m. Please join us for an evening of inspiring discussions, story sharing and networking opportunities. 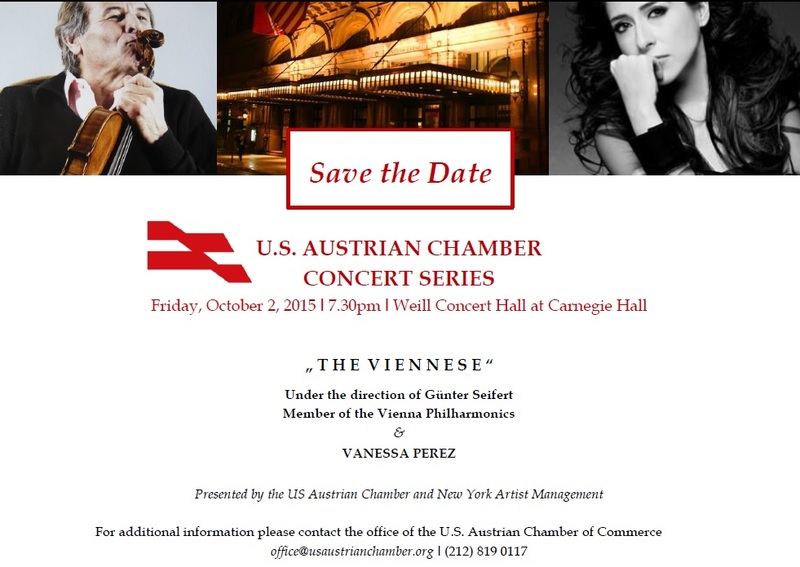 The event will be followed by a wine reception kindly sponsored by the Austrian Consulate General New York. Space is limited. 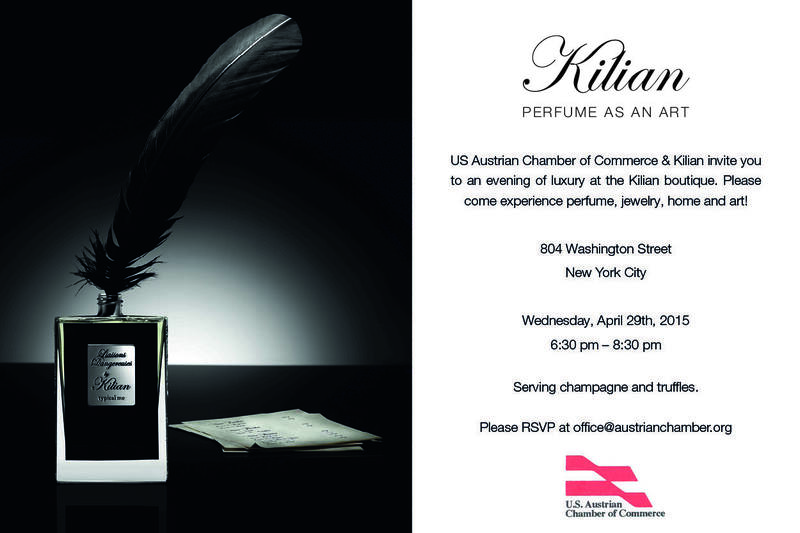 RSVP is required. 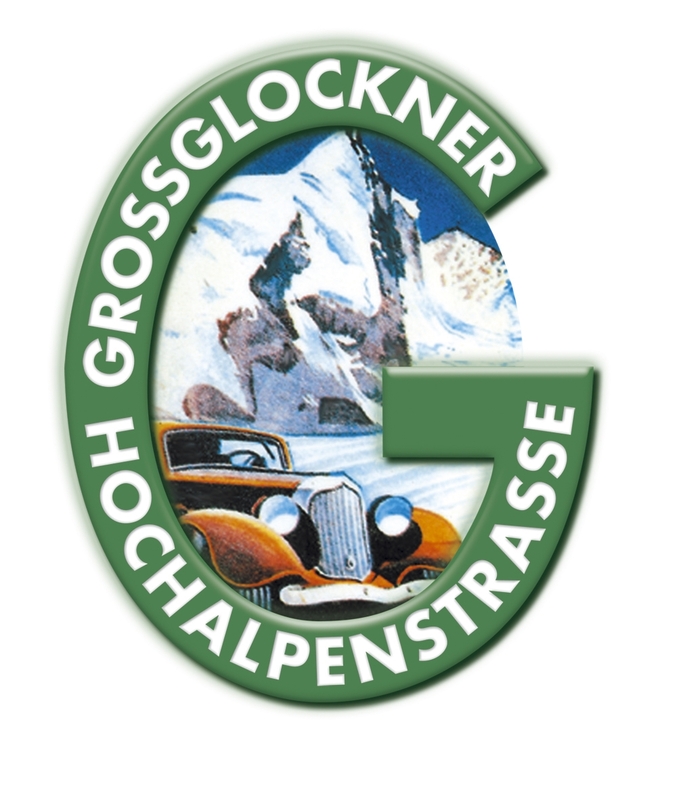 Please register online by Monday, May 18, 2015. 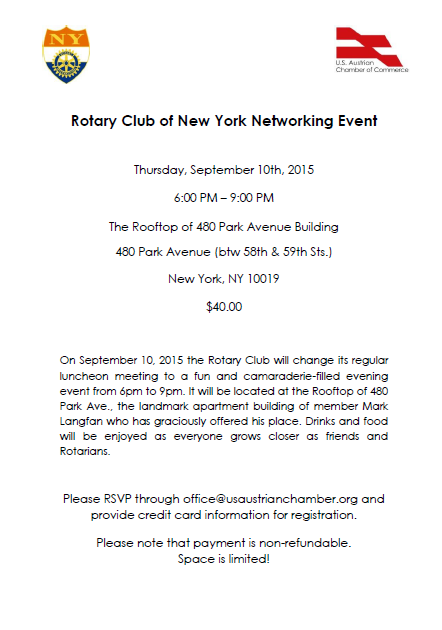 If you have any further questions, please contact us at (212) 819 0117 or via Email. We look forward to welcoming you at Central Park for a great evening of networking opportunities with hors d’oeuvres & buffet stations, wine & beer!